With both teams sitting on a 2-3 record going into this game, it is likely that the winner will be in a Top 16 position by the end of the weekend. With just four games left after tonight, this is a decent position to be in and it is something that will fire up both teams tonight. The residents of France know that there are more important things than basketball but a home win would be very much appreciated this week. The fact that Strasbourg are unbeaten at home is a good achievement but the fact that they have defeated Real Madrid and Fenerbahce Istanbul in doing so is a tremendous achievement. On average, the French side has prevailed by 14 points, which means that Belgrade will know that they are likely to be under the cosh for a large part of this game. Louis Campbell has a big role to play in this game and Rodrigue Beaubois will be looking to use his pace to do some damage in this game. Vladimir Golubovic will need to be at his best to stop the away team in this game. 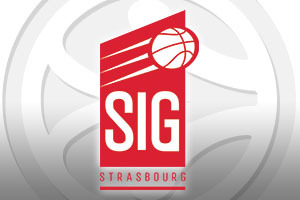 The team from Belgrade trounced Strasbourg at the start of the season and they come into this game on a great win in Munich. This will give them plenty of confidence coming into this game but they know that they’ll need their key players on top form if they are looking to achieve success here. This means that Maik Zirbes and Vladimir Stimac will be expected to perform while Quincy Miller, a newcomer to the team, has performed well in recent weeks. 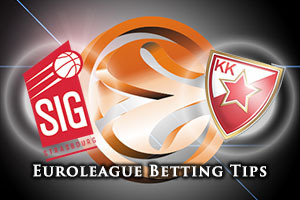 Both teams can be confident ahead of this game but The Belgrade side know that they have a chance to achieve success. The hosts are big favourites for this game and if they can show the form from their previous home games, they will look good value at -5.5 at odds of 1.90. With respect to the Over/Under market, look to go OVER 146.0 at odds of 1.90. Bet Now!